Apollo Falconry brings you a unique falconry experience! Are you looking for something unique to add to your Wedding, Birthday Party or just as a fun day? Apollo Falconry offers a Bird of Prey Ring Bearer, Hawk Walks, Owl Wanders, Bird of Prey experiences, Birthday Parties, Corporate Events and more! Apollo Falconry is a family run business based in Faringdon, Oxfordshire. We’ve been displaying and flying birds for over 10 years, and there isn’t anything we love doing more! Our birds are our life, and we love sharing our love for them with everyone! Lisa is our scaredy cat. After having birds in the house for over 10 years, she still has a phobia of them!! You can catch her holding the smallest bird possible (Timmy!) and handling Billie at weddings. Her favourite Bird of Prey is the White Faced Owl (Transformer Owl). If you book with us, we will give you a hands-on experience where you will learn all about our gorgeous birds of prey. We love introducing people to our wonderful sport, and we hope you come away with a smile on your face. Looking for something extra unique for your wedding? 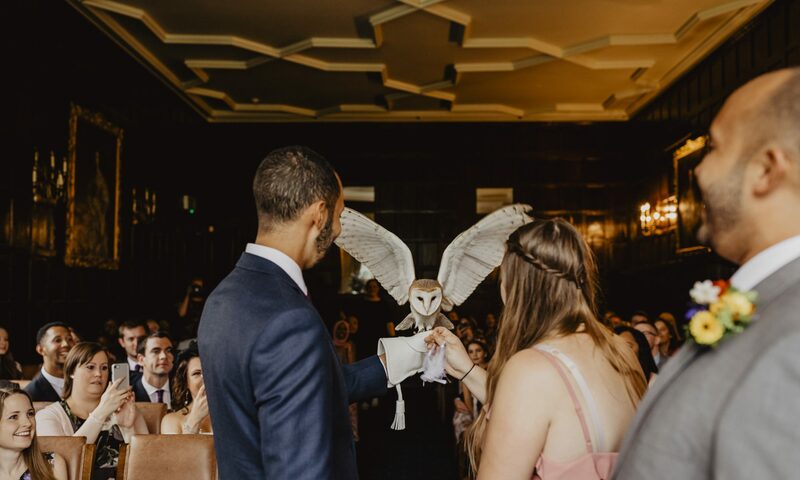 Why not have one of our talented Owls to deliver the rings down the aisle? They can fly to anyone you would like: Best Man, Bride or Groom, etc. We can offer a Barn Owl or a Harris Hawk to deliver the rings. Typically, the Barn Owl is seen as more of a ‘wedding’ bird, however, if the best man wants something a bit more ‘manly’, you can always pick the Harris Hawk! 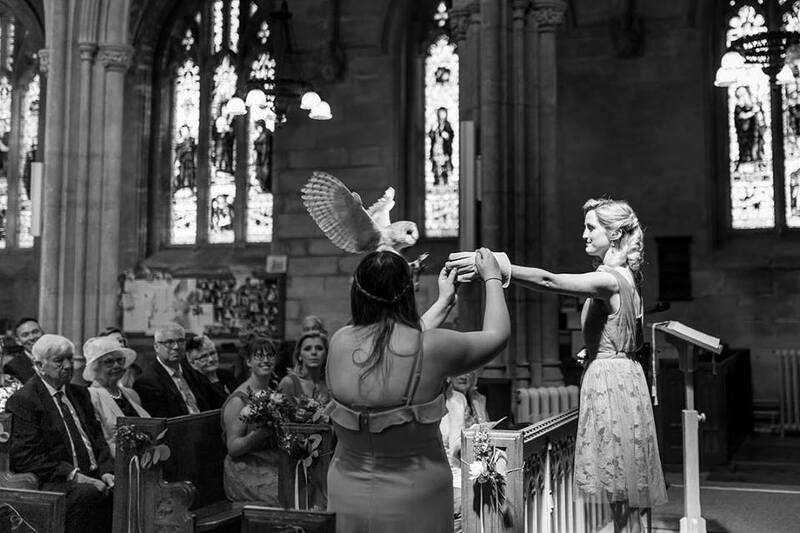 Option 1 provides the choice of birds to deliver your rings down the aisle. We arrive around an hour before the ceremony to meet the person receiving the rings, the registrar/vicar and photographer if possible. After we have had our little chats, we give a little training to the receiver and then try to disappear until the time comes for us to be involved. Option 2 adds pictures for after the ceremony, this means that we will normally stay for around 45 minutes after the ceremony to have photos with you as well as with guests. Option 3 allows us to come along for photos afterwards and a static display. This option helps if you would like us there, but you have guests who are scared of birds. We would arrive before the ceremony to know where we can set up, and throughout the ceremony begin to slowly set up. We will bring around 4/6 birds with us, all of which are friendly birds which everyone can get up close with (including children). We are based in Faringdon, Oxfordshire. Within 20 miles, we require no additional travel cost. Anything further than that will require additional travel costs. For up to 50 miles from Wantage, we will require a £30 travel charge. For up to 75 miles, we require a £50 travel charge. For up to 100 miles, we require a £75 travel charge. For anything over 100 miles, please contact us. Our professional handlers will be dressed smartly and appropriately, with the birds as clean as they can be! We can offer Hawk Walks and Owl Wanders as well as Family and Children’s Experiences! It’s the perfect opportunity for you to get out and about with some of our spectacular birds and learn about them as they are flying about. We can also offer handling opportunities for those helping to get over their fears. We also offer Birthday Parties from young to old. A great opportunity for family and friends to bond, or for those Harry Potter fanatics out there! We love doing Corporate Events, and have worked with lots of companies and hotels. If you are coordinating a fete or show, we do a package which involves us bringing along some birds for a static display and we can provide a flying display. Alongside that, we can also supply our birds for photoshoots, music videos, televisions, photography sessions, drawing classes and more. 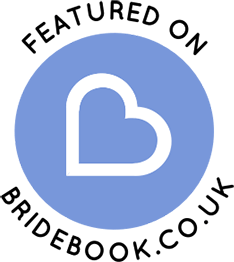 If you would like us to be involved in something, contact us, and we will see what we suggest for you! Would you like to know more information, or would like to book something with us, please contact us! If you are interested in any of our options, please don’t hesitate to contact us. You can email us, call us on 07725716761 or 07435216542, or even contact us on Facebook!